Every Labor Day Weekend KZUM has their Blues Blow Out. 83 hours of nothing but the Blues. This means that for those 83 hours all other programs are preempted. 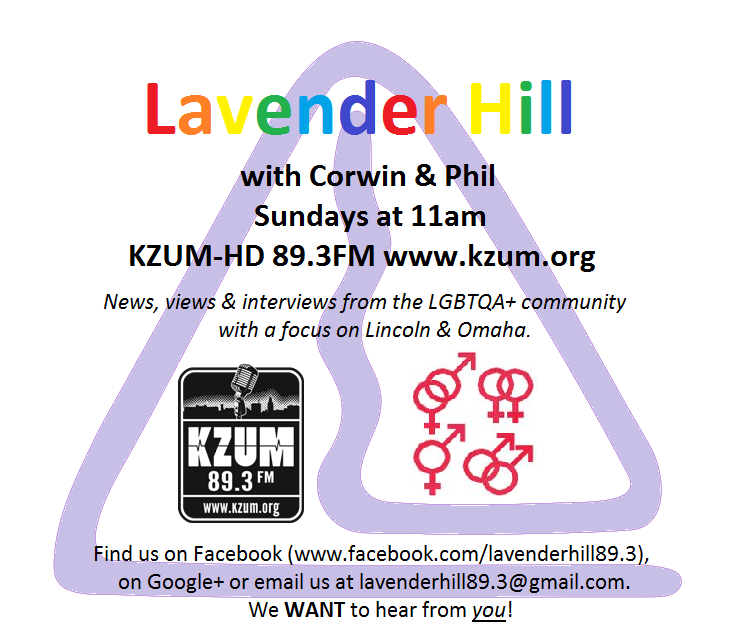 Including Lavender Hill with Corwin and Phil. Corwin gladly took on the challenge again this year to fill the hour with Blues music by LGBTQ artists. Following is the list of music played, a few of the pieces were contributed by Phil. Both would like to say thank you to JD Doyle of Queer Music Heritage for the hard work that he has been putting over the years to give the world a history of music from the LGBTQ perspective. We’ll return to regular programming for Lavender Hill next Sunday, the 7th of September. This entry was posted in Lavender Hill and tagged Bessie Smith, Billy Strayhorn, Billy Tipton, Blues music, Candye Kane, Gaye Adegbalola, Hugh LAwry, KZUM, Ma Rainey, The Vinyl Closet, Vicki D'Salle.